First, the “nominal catholics.” These refer to the catholics in name only or the so-called KBL (Kasal, Binyag, Libing) Christians. Or, as one Bishop described it: Katolikong nakaalala lamang sa Dios tuwing panahon ng Kulog at kidlat, Baha at bagyo, Lahar at lindol. Or, as someone put it, Christians who come to church only three times in their whole lifetime – when they are “hatched, (in Baptsm) matched (in Marriage), dispatched (in Funeral Rite)” … to the cemetery or memorial garden. Second, the “uninformed and unformed faithful.” These refer to that many baptized Catholic Christians who grow up grossly ignorant of religious instructions and their obligations as Christians and were not formed by Christian values and virtues. Third, the”uninterested parishioners.” These refer to the majority of Christian parishioners who are indifferent, lukewarm and uninvolved to the mission and goals of the parish. In particular, uninterested to get involved with any program, project and activity of the parish. A – anointing with the Holy Spirit. The baptized, like Jesus, is anointed as priest, prophet and king. P – erfection of Charity and Fullness of Christian life when it is no longer I who lives in me but Christ. T – otal dedication and commitment to live the truth of faith in every moment and aspect of life. I – nterior repentance and conversion toward new life in Christ. S – eal of salvation. The baptized is sealed with indelible character that he belongs to Christ and marked to be saved. M – ission to bear fruits of good works, holiness and evangelization. St. Paul in his letter to the Ephesians reminds us that to glorify God is to be “in the church and in Christ Jesus” (Ephesians 3:21). 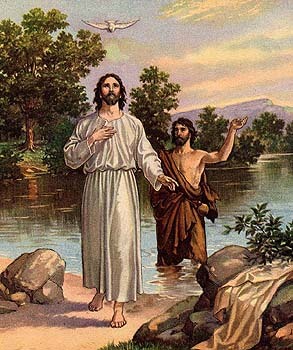 Hence, faith and baptism are joined as preconditions of salvation (Mark 16:16). It is, therefore, fitting and praiseworthy to renew our baptismal promises to love God above all and to reject Satan and all his wickedness. Godparents and Sponsors: What is expected of them today? Is a saint’s name required for Baptism?